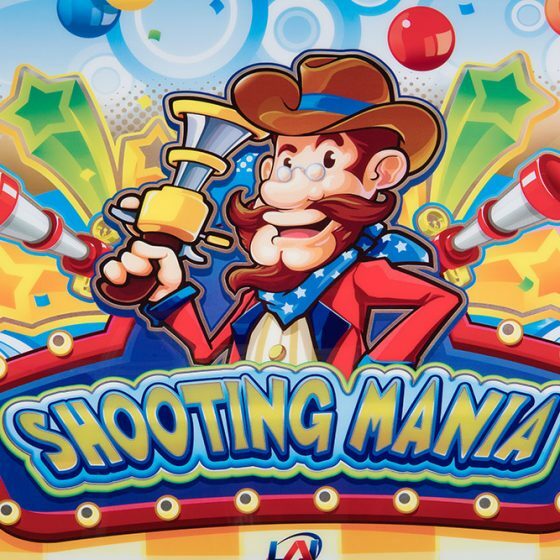 Step right up, gunslingers! 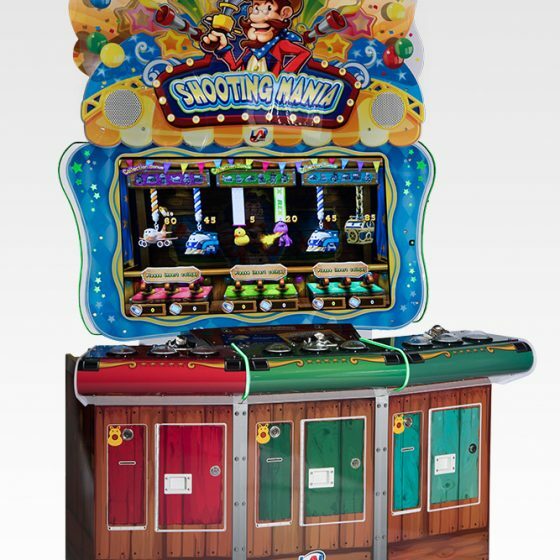 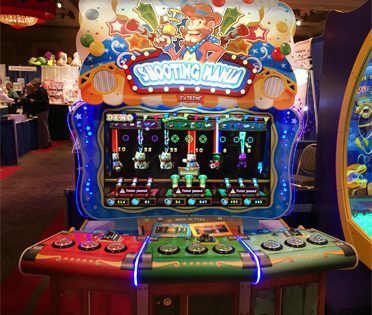 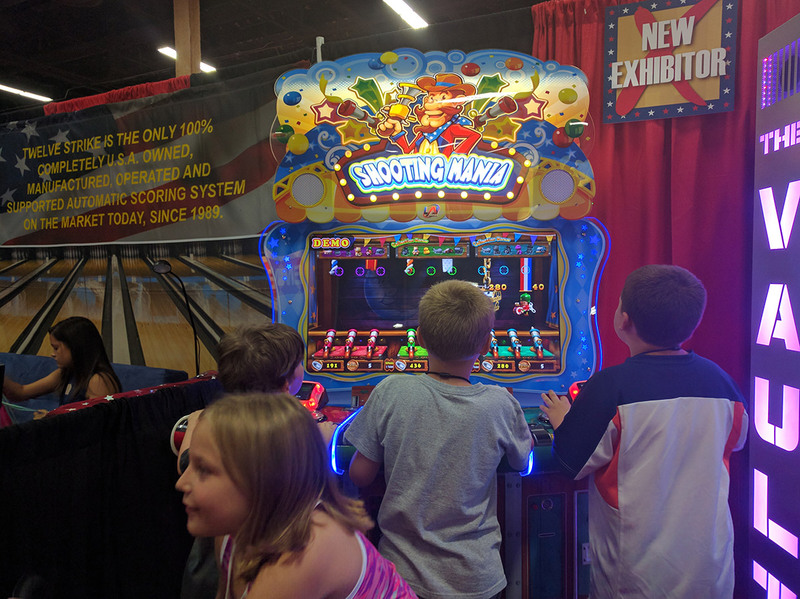 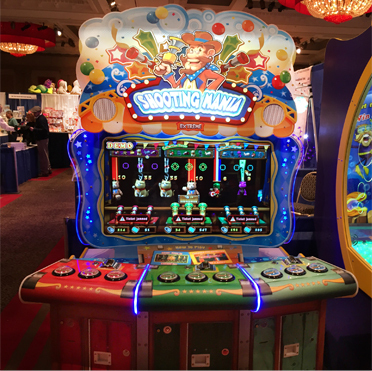 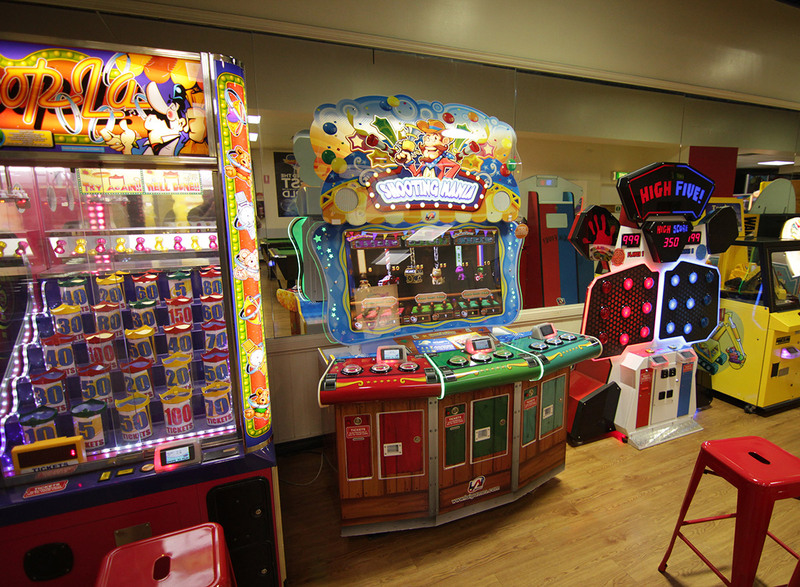 Shooting Mania offers entertaining carnival-style shooting gallery fun for the whole family. 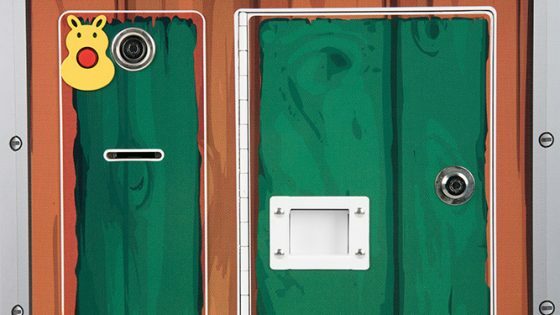 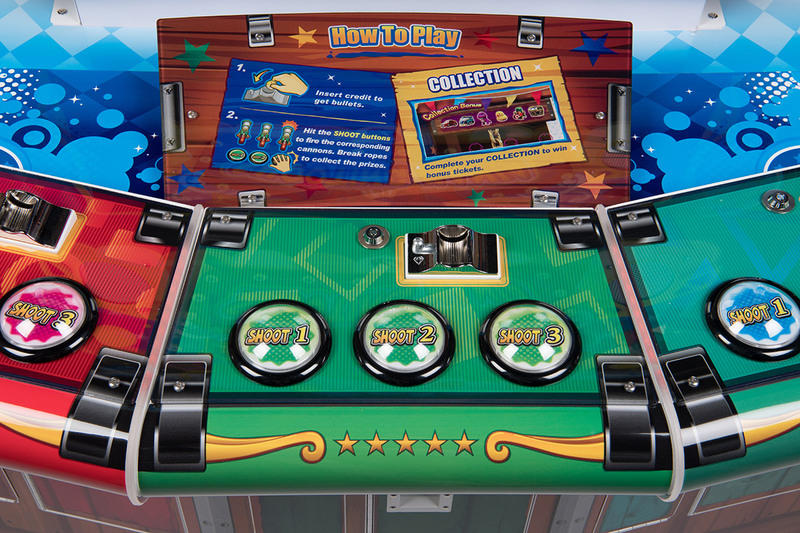 Up to three players can join in and work together or steal from their opponents. 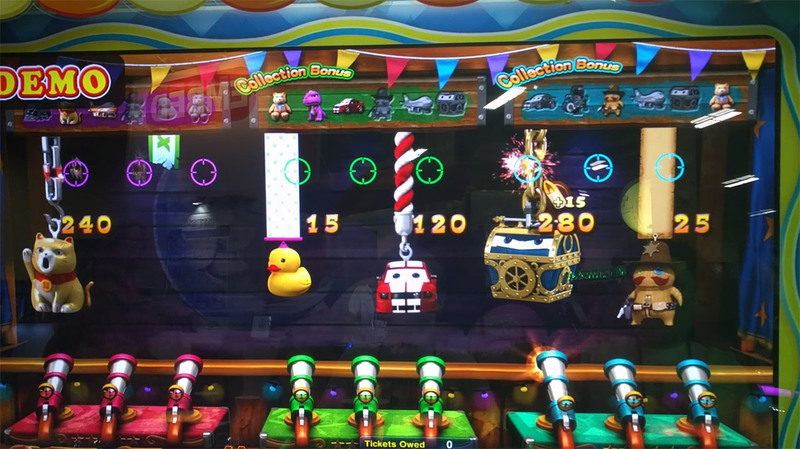 Different items hang from colored ribbons, rope and chains slowly moving across the screen. 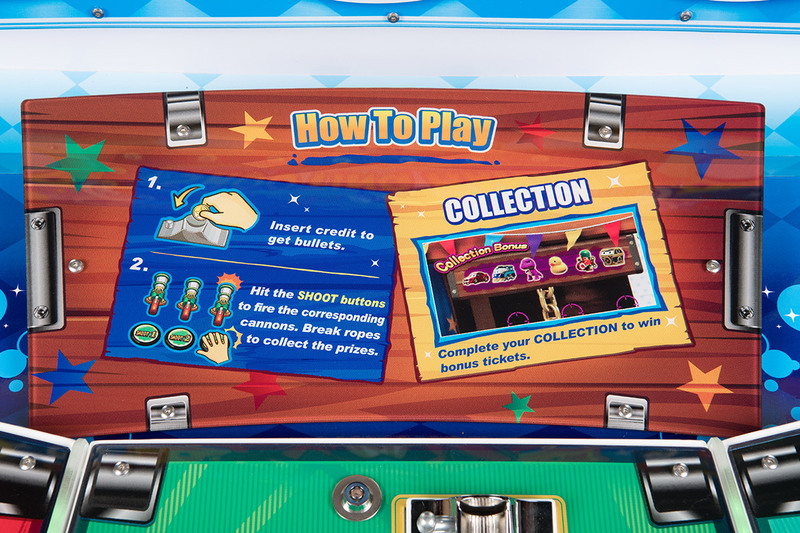 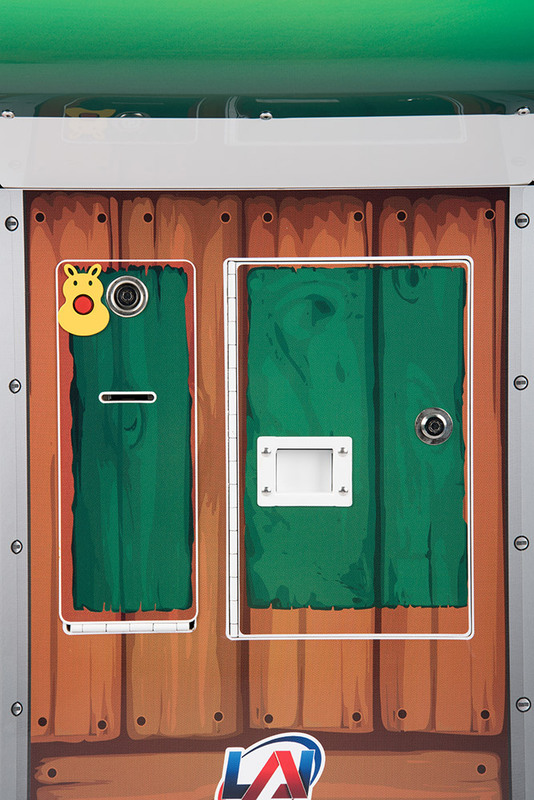 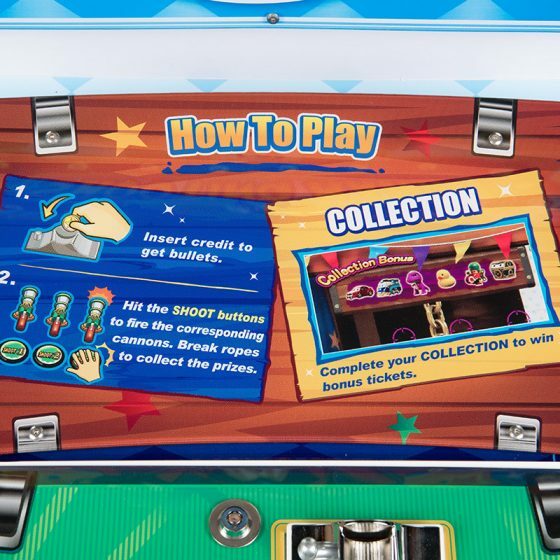 With a limited number of shots, players have to choose their targets wisely and hit the connecting ribbons, rope and chains releasing the items and unlocking tickets. 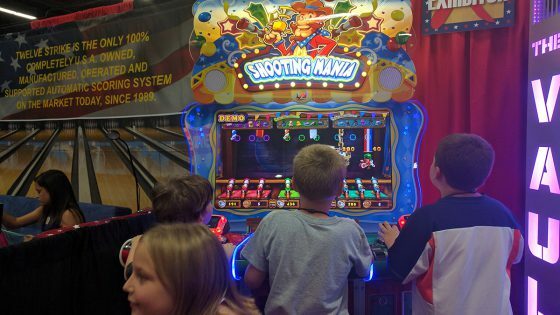 Its action packed and loads of fun! Adjustable settings allow operators easy management of ticket payout for regular winners and maximum income. 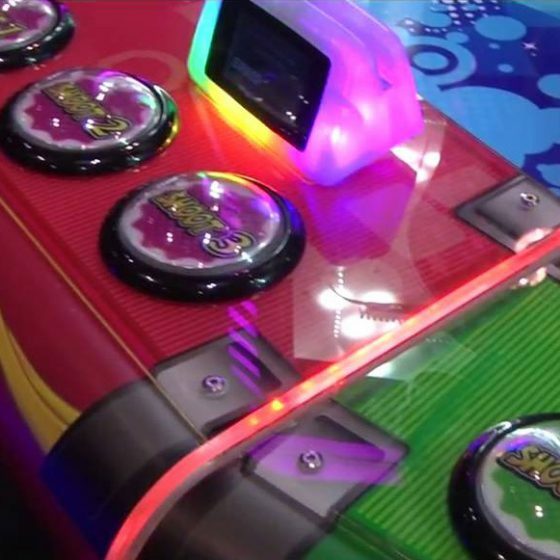 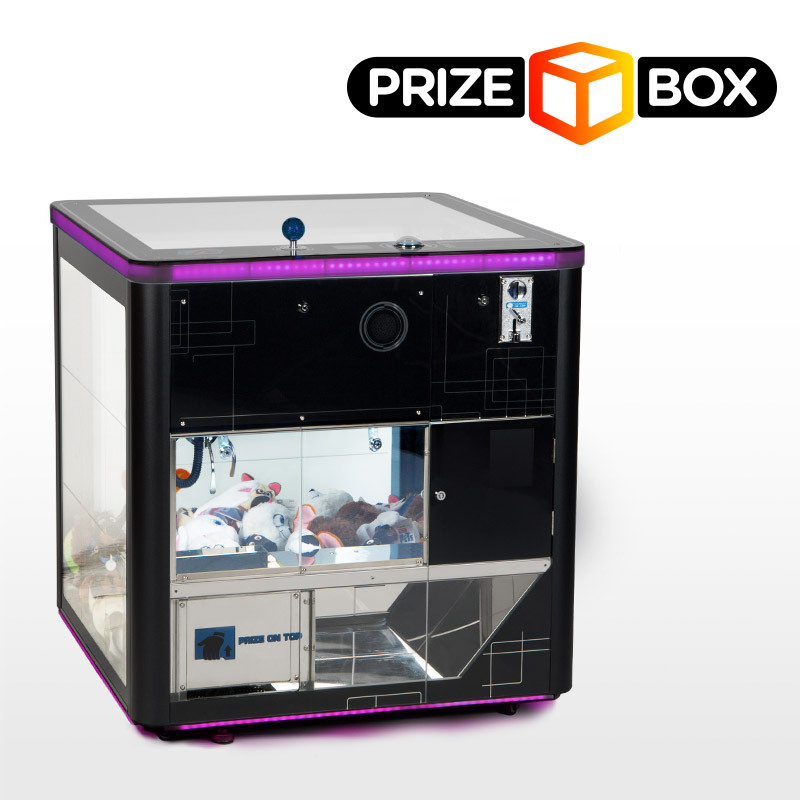 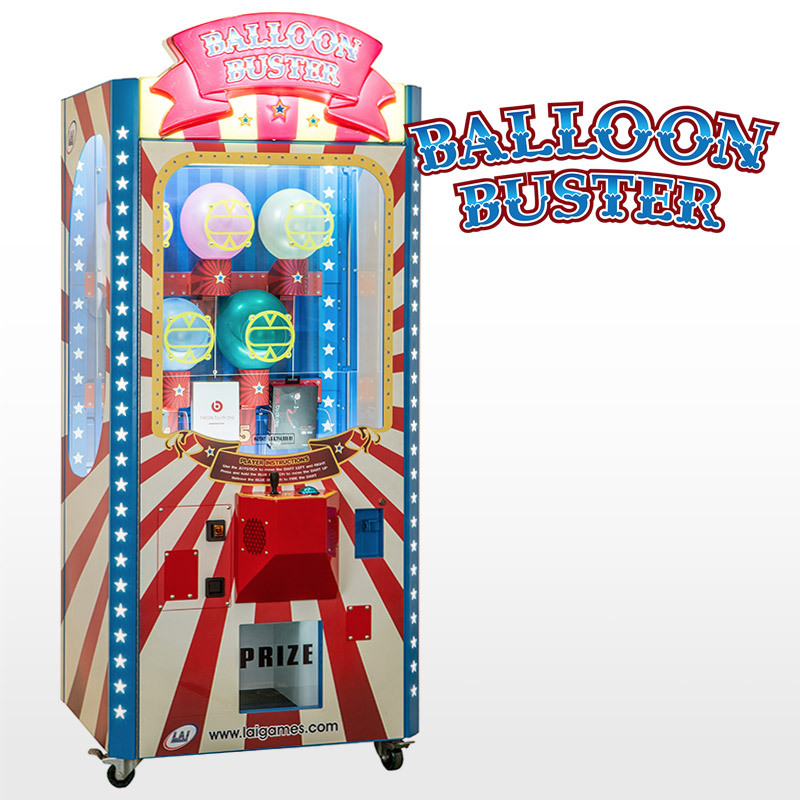 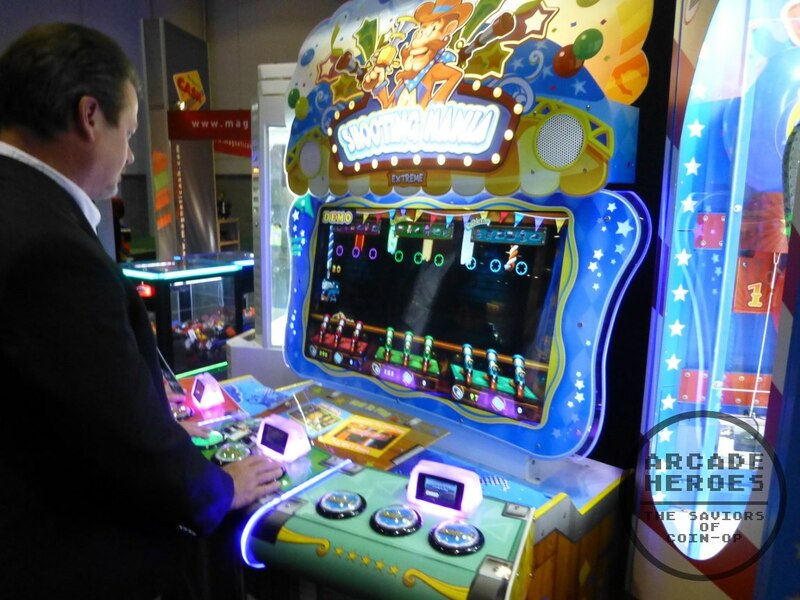 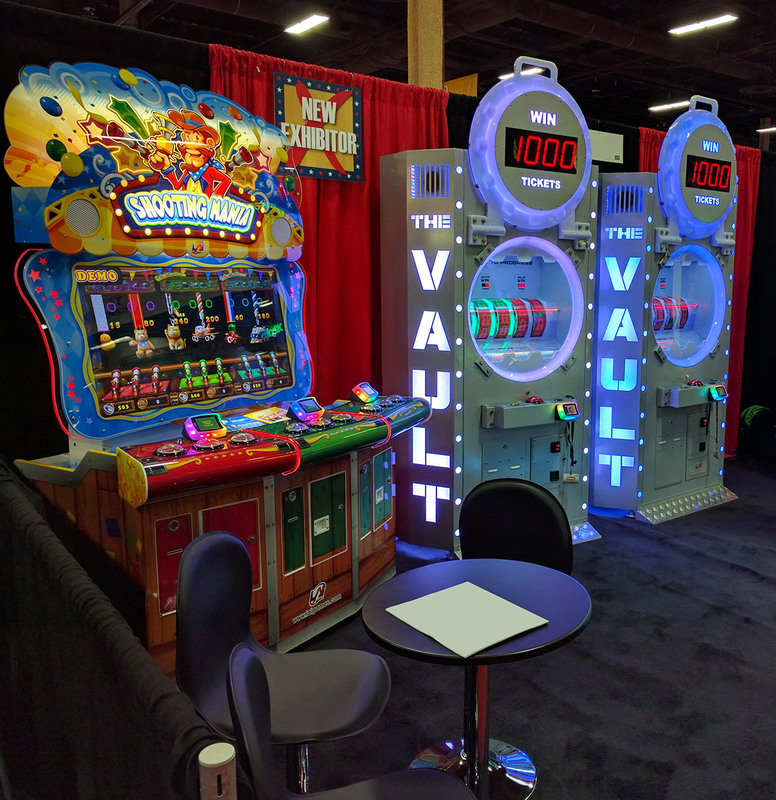 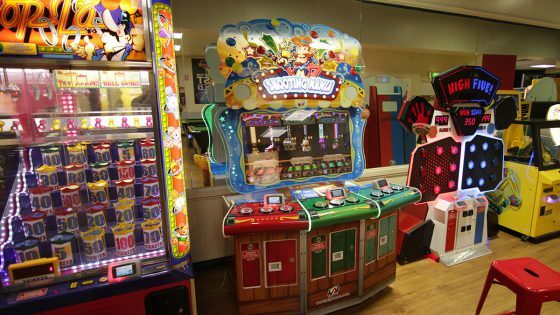 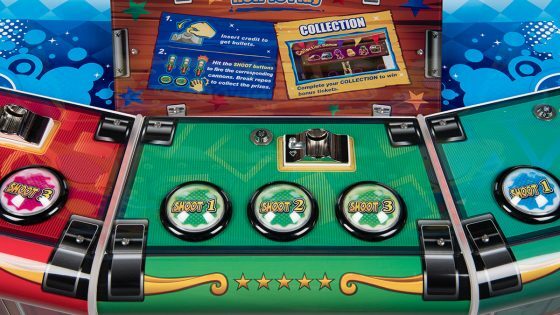 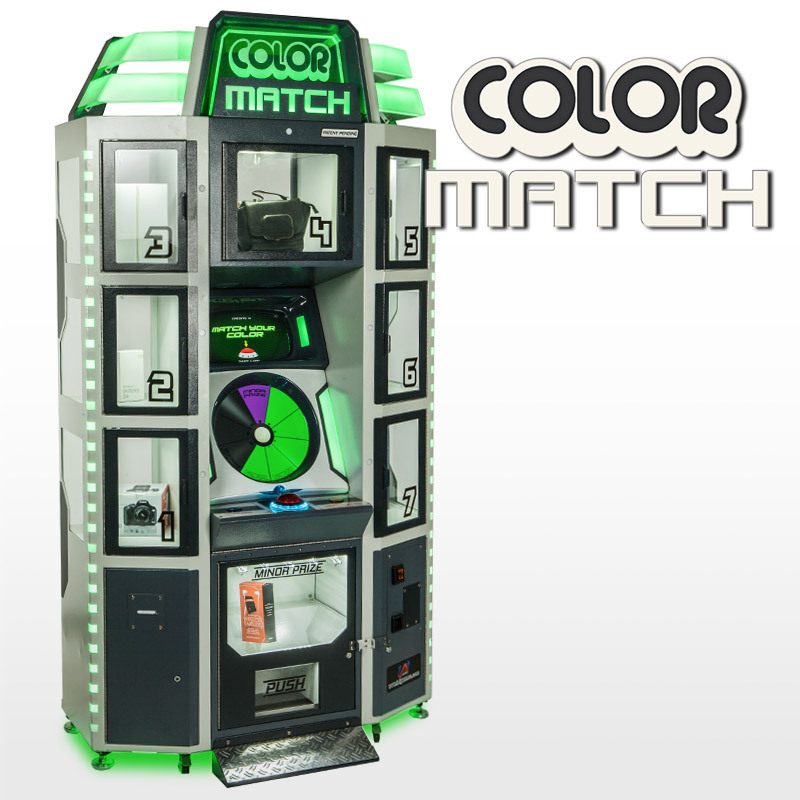 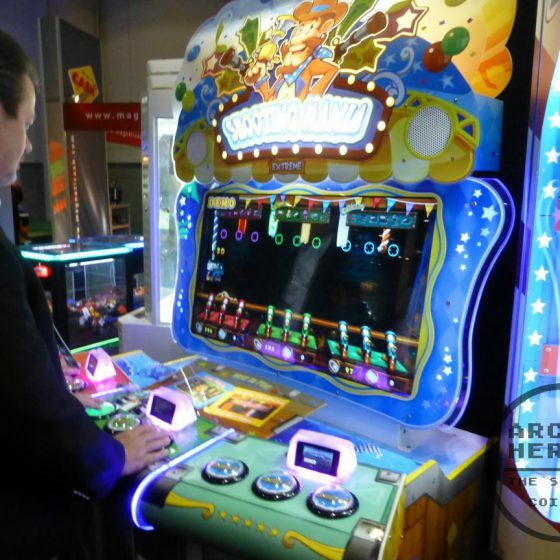 This entertaining title was a BMIGaming “staff favorite” at the IAAPA Attractions Expo. 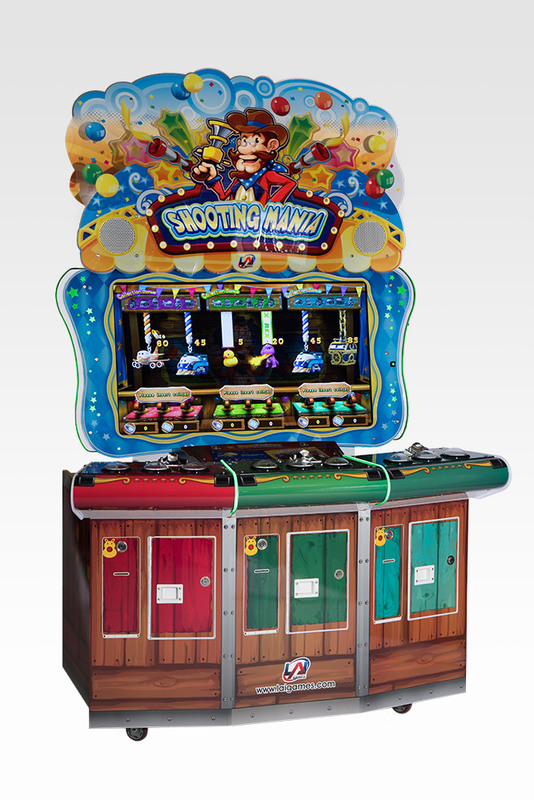 Shooting Mania is a great fit in any family entertainment venue, so get yours today. 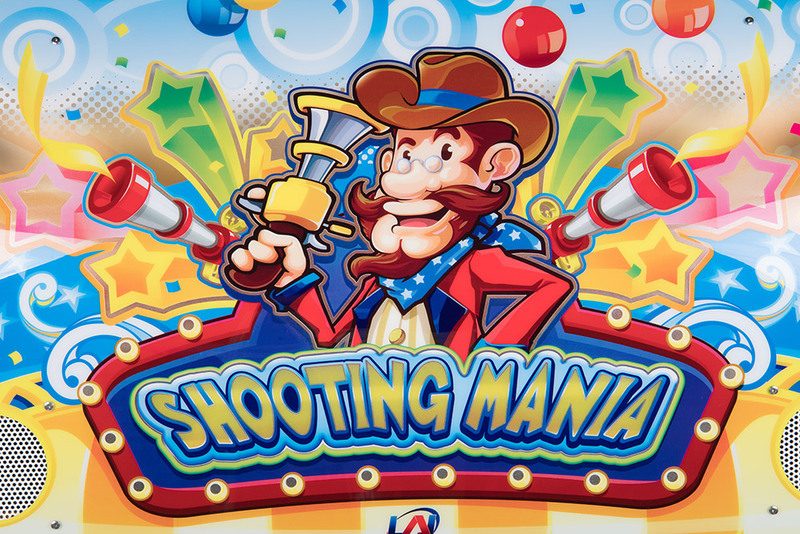 If you like Shooting Mania, we recommend you also check out these games!